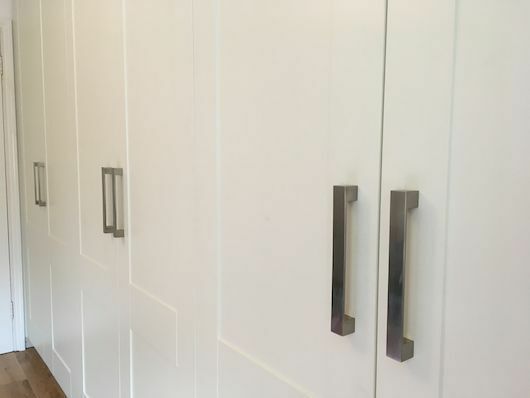 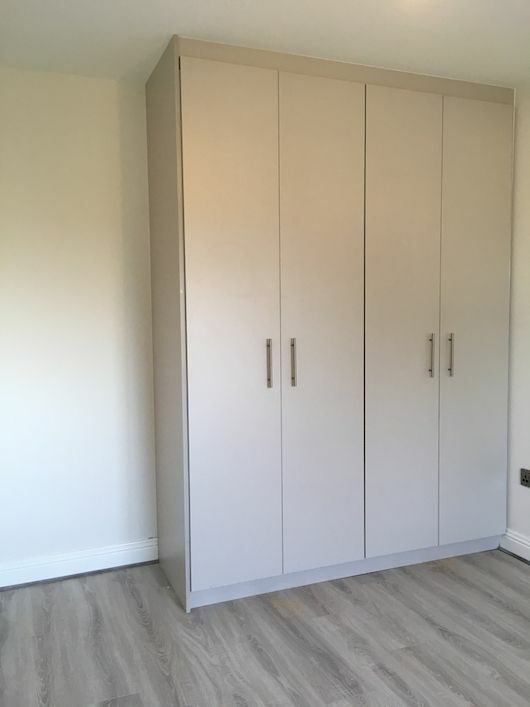 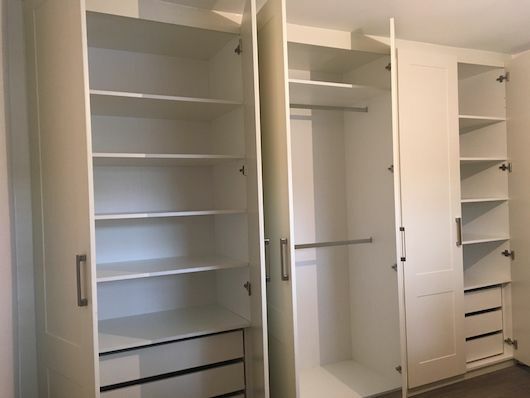 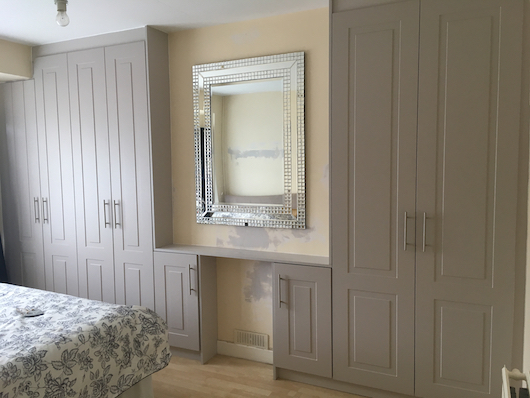 Client requirements: to create a practical yet elegant solution that would also give them a vanity area that is quite discrete while maximising the storage space either side of the chimney breast. 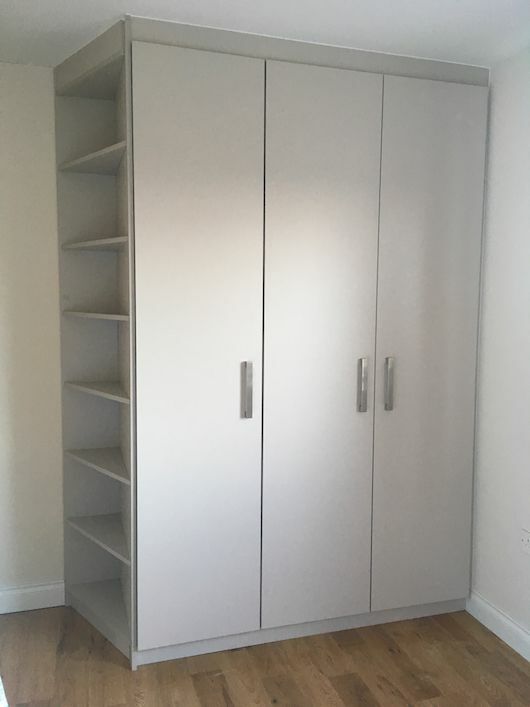 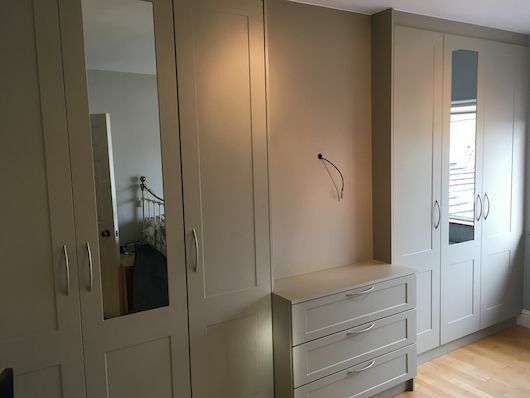 Client requirements: To have the wardrobe as self-contained as possible so that there is no need for other bedroom furniture in the room. 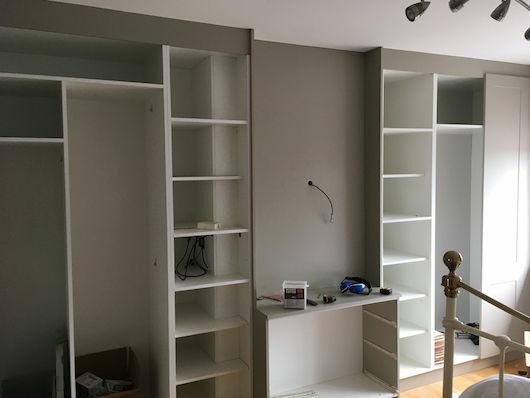 We installed a mix of rails, shelves and drawers. 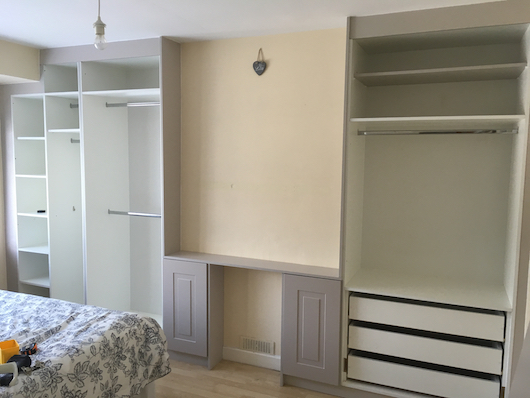 Client requirements: to maximise the length of one wall and incorporate a chimney breast and to maintain the bright appearance of the room. 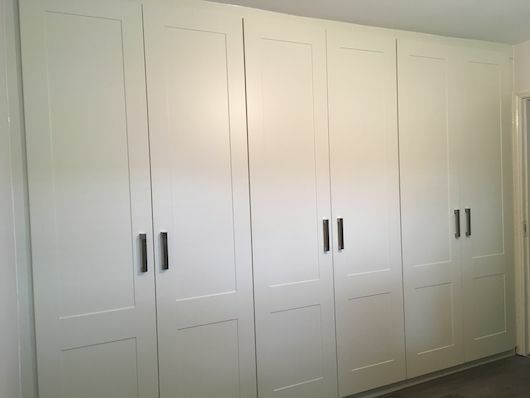 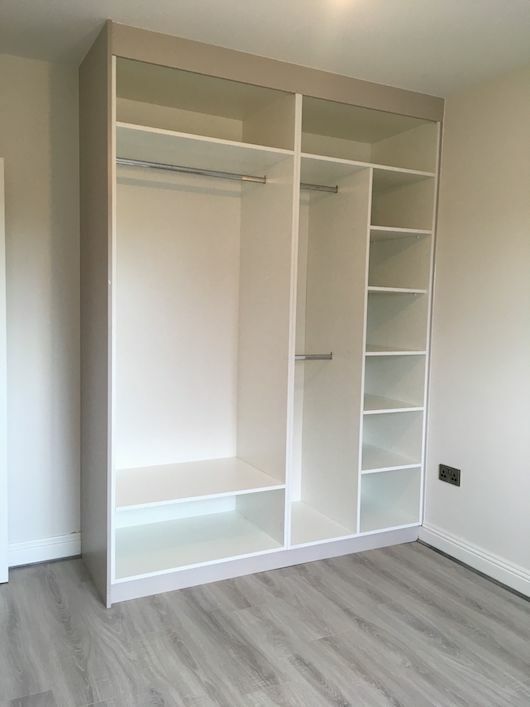 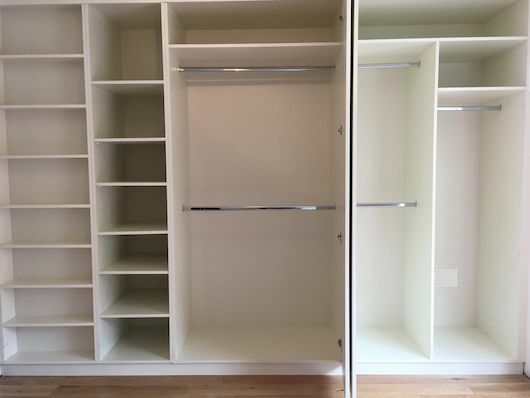 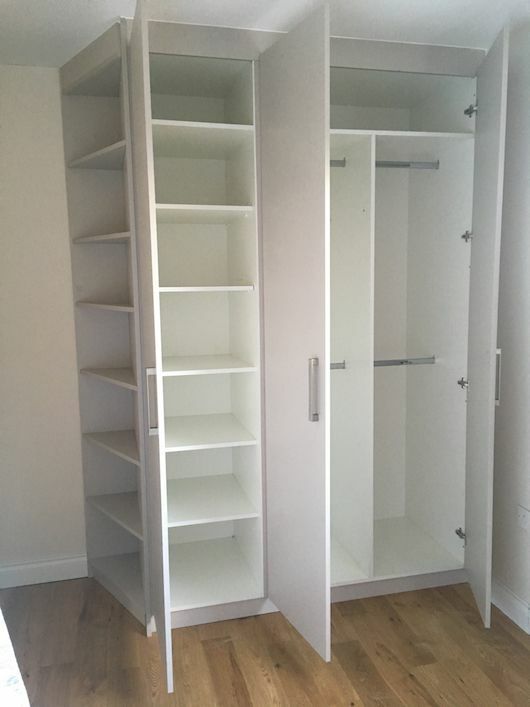 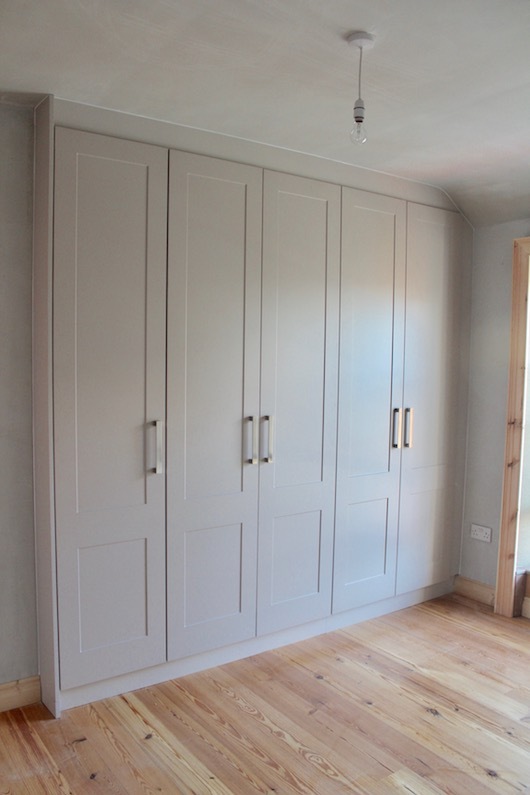 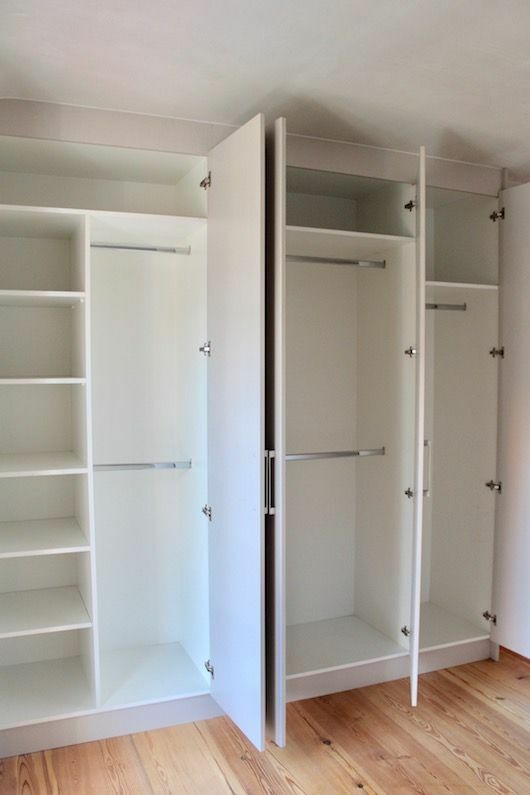 Client requirements: to give a simple modern looking wardrobe at a cost effective cost €995 .